"No matter if Anushka Sharma's husband is Virat Kohli, a 50 per cent discount will always be more orgasmic for a lady," says a Twitter user. Kohli will face a tough tour in South Africa where India play three Tests starting 5 January. The Tests will be followed by six ODIs and three Twenty20 Internationals. 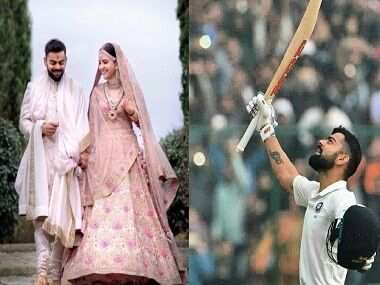 After reports claimed Raghavendra Rathore styled Virat Kohli, Sabyasachi Mukherjee deleted post claiming he styled both for their Mumbai reception. 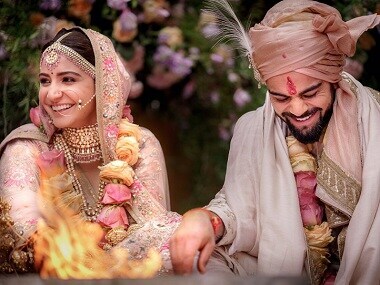 Madhya Pradesh BJP MLA Pannalal Shakya calls Anushka Sharma and Virat Kohli 'unpatriotic' for not tying the knot in the land where Lord Rama got married. 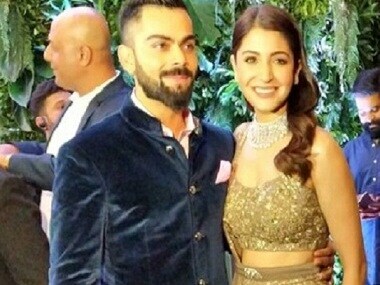 Sexist questions no one's asking Virat Kohli; why must Anushka Sharma bear all the brunt? 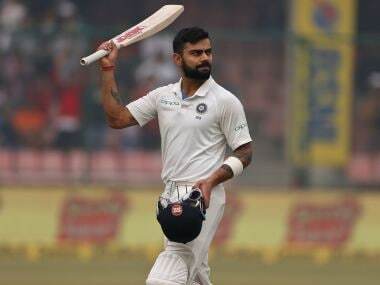 Firstpost decided to ask some experts whether they think Virat Kohli's career will see any changes post-marriage and they unanimously agree that it will. This piece may or may not be satirical.